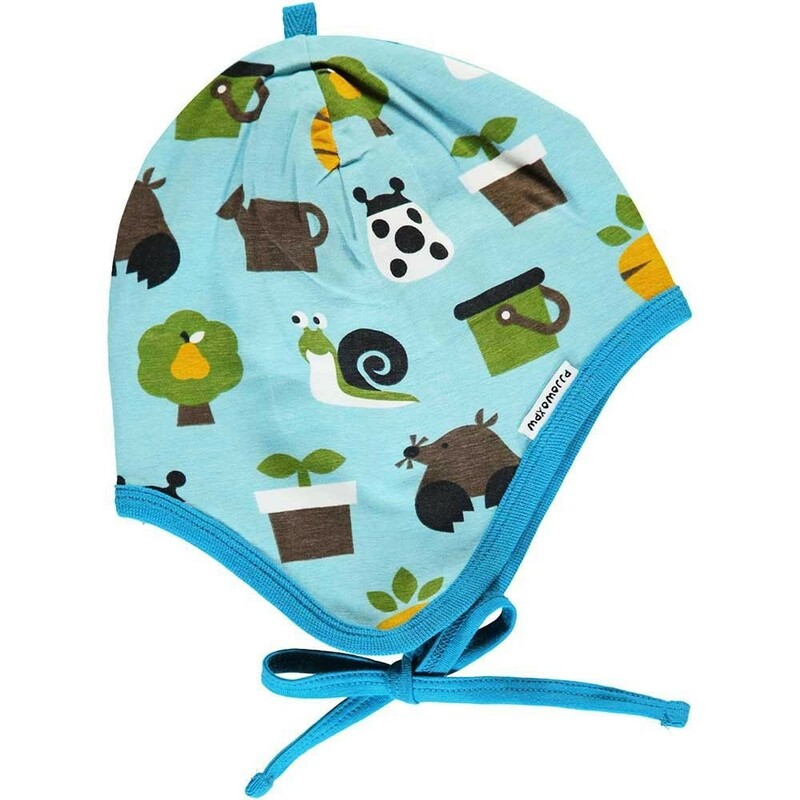 This Maxomorra Helmet Hat comes in a playful garden design which is Perfect for budding gardeners, featuring watering cans, plants, trees and garden creatures on pale blue with plain soft petrol contrasts. It is a soft, organic cotton baby bonnet with a colourful pattern on one side and a plain snuggly velour lining inside. Pull this organic hat down to keep ears warm and keep it securely in place with the ties. This baby hat makes a cute accessory to a baby and toddler outfit. Ethically made with sustainable GOTS organic cotton under fair trade conditions, this hat is eczema-friendly, gentle on sensitive skin and eco too. 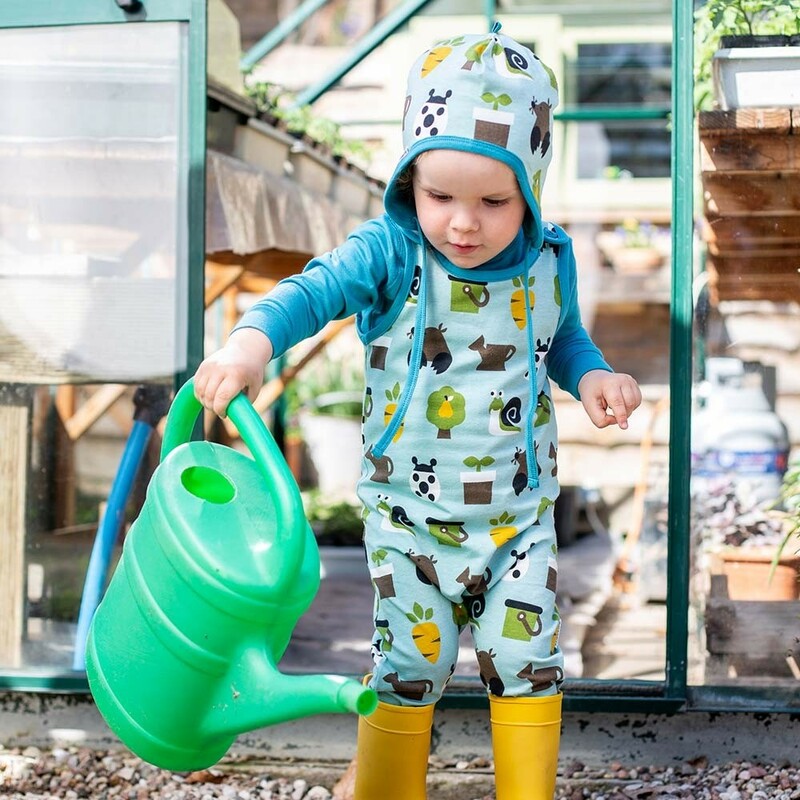 Check out the full Maxomorra range at Babipur for stylish Scandi clothes for children and babies that are a little bit different to what you will find on the high street. Print layer: 95% organic cotton and 5% elastane. Velour layer: 80% organic cotton and 20% recycled polyester. 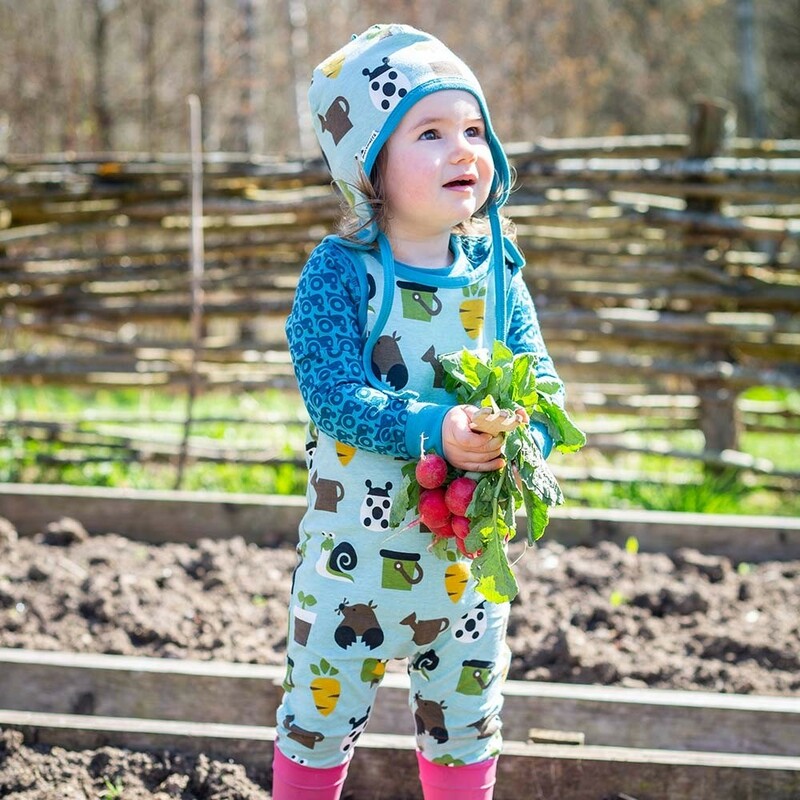 We love Maxomorra's Scandi-inspired designs for fashion-conscious kids and that their clothes are responsibly made with natural materials too. The top ethics and fun Swedish designs makes this ethical fashion brand something rather special - great for kids and the environment.